Old Navy's Cyber Monday Sale has started! 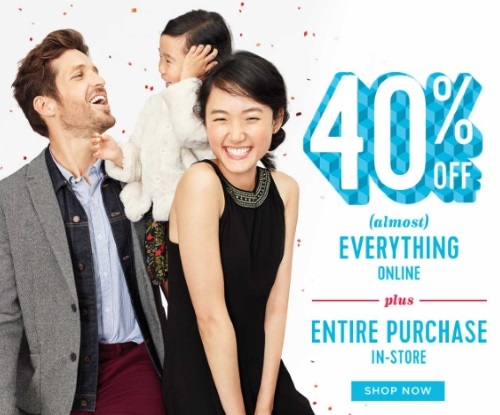 Save 40% off almost everything online plus your entire purchase in-store. Some special deals include $10 Kids Jeans and $12 Adult Jeans (offer is valid today only, Saturday, November 26).